QQ International is a messenger with amazing features such as add-ons, voice calling, video chatting, messaging and send data files to friends or family. Translating chat messages into world’s famous languages with auto and manual accessibility. 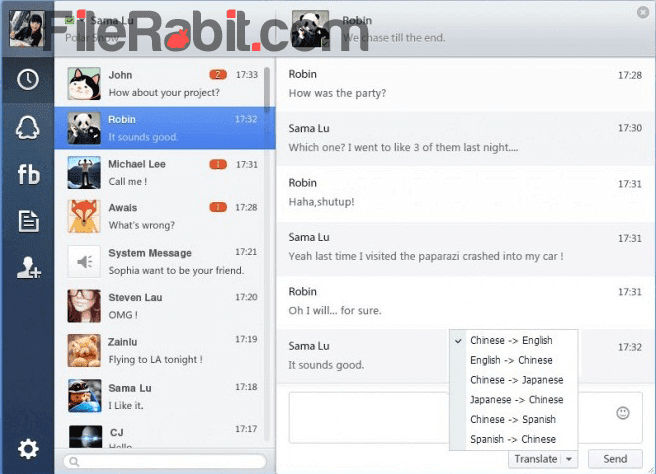 The chatting screen has high quality graphics with stylistic interface. Finding friends with advance search will lets you to locate your friends in advance matters. 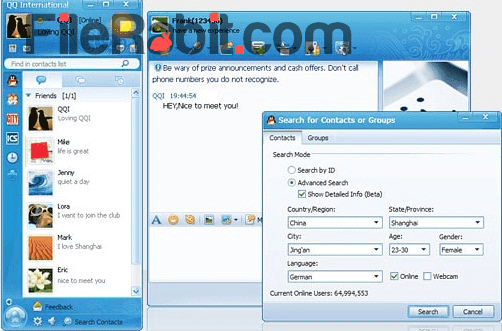 There are many pre created chat groups with dozens of active members. So you can simply send messages, smileys, emotions or links. Whenever you got free, play hundreds of online games to get entertained. Add friends directly, send multimedia content, send rich media messages or predefined smileys to them. The interface is completely customizable and you can even add a custom picture or cropped screenshot as base skin. In previous times, QQ International was one of most popular IM and video chatting application used in China. But after some time, the international (multilingual) version was released for Android, iOS and Microsoft Windows platforms. QQ is a Chinese network but Tencent gives complete access to this app to sign up using mobile number or through email address. The setup is simple and unique design with about 7 popular languages from worldwide. Shocked! after have to know that it supports currency conversion, language translation and bundle of other add-ons.